This post is sponsored by Madhava Sweeteners. Although this is a sponsored post all thoughts and opinions are my own. We had fun in the kitchen the other night making Peach Moscow Mule Mocktails as an extra special treat. 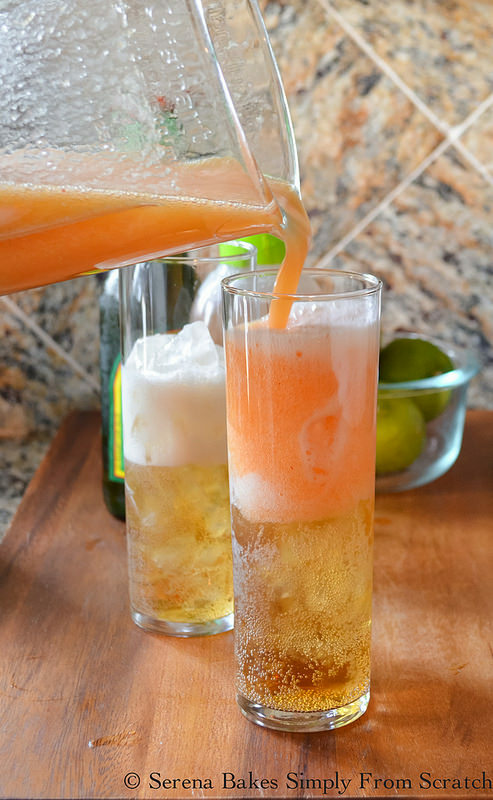 In case you've never heard of a Mocktail before it's an alcohol free version of a cocktail, perfect for baby showers, family gatherings or just a special treat. But you could totally add a shot of your favorite vodka for an adult version of this Peach Moscow Mule. The Agave Ginger Peach combo makes these a fall favorite but perfect year around with the sweetness of the peaches and the spice of ginger. 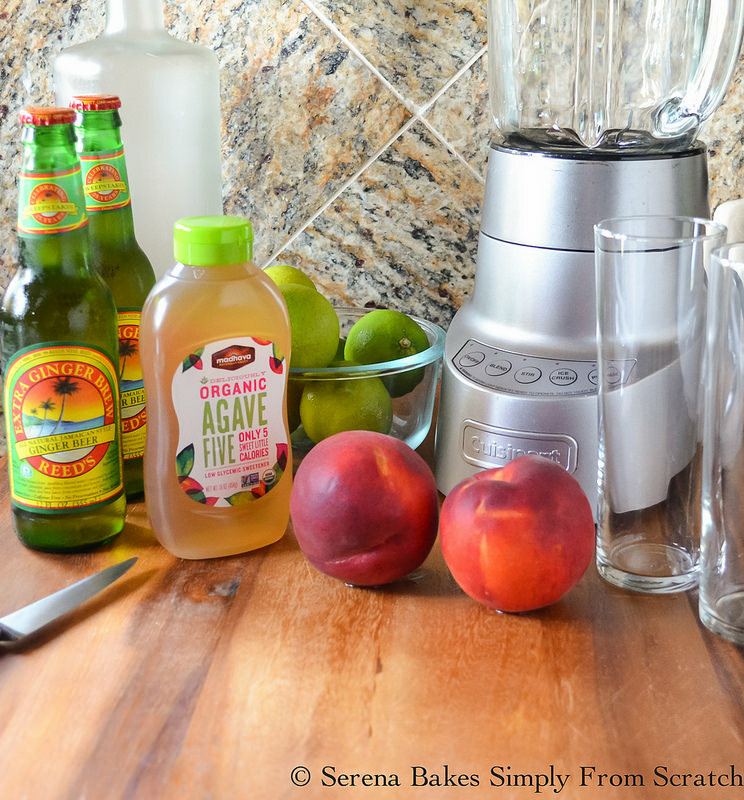 I used the Madhava Organic Agave Five Sweetener to add a little sweetness to the peaches along with a squeeze of fresh lime to balance out the flavor to make these Peach Moscow Mules. 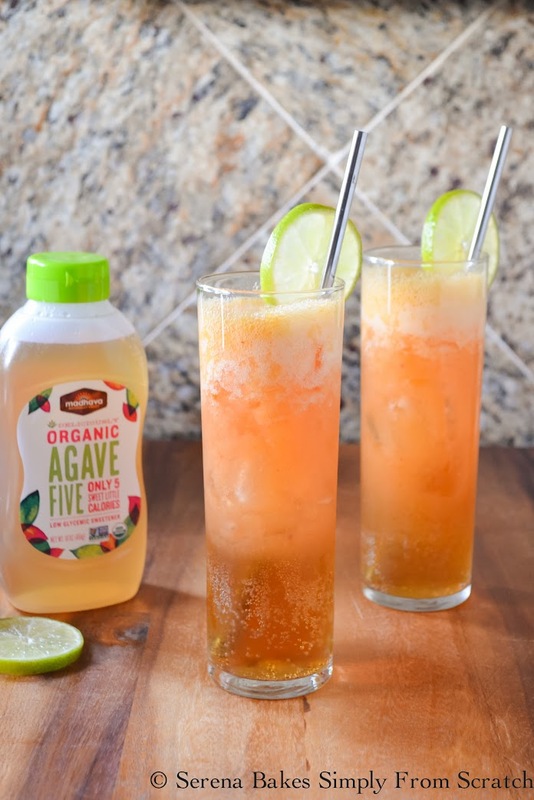 The Agave Five only has 5 calories per teaspoon making it the perfect option for sweetening drinks. 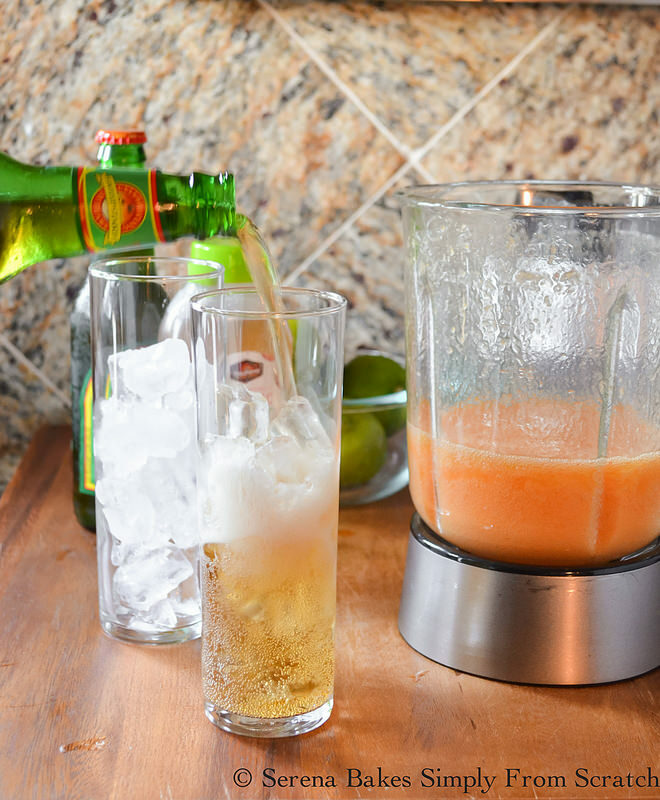 In a blender add 1 Peeled Peach with pit removed, 1 whole Juiced Lime, and 1 teaspoon Agave Sweetener. Tip: If fresh peaches aren't available frozen can be used. Fill 2 glasses 2/3 way full of ice and fill glass half way full of Non-Alcholic Ginger Beer and a shot of your favorite vodka for a cocktail. Top glass off with pureed Agave Peach mixture. Garnish with lime slices and sip away! Peach Moscow Mules are a summertime favorite but the spicy ginger gives it a warm flavor that is perfect for fall. 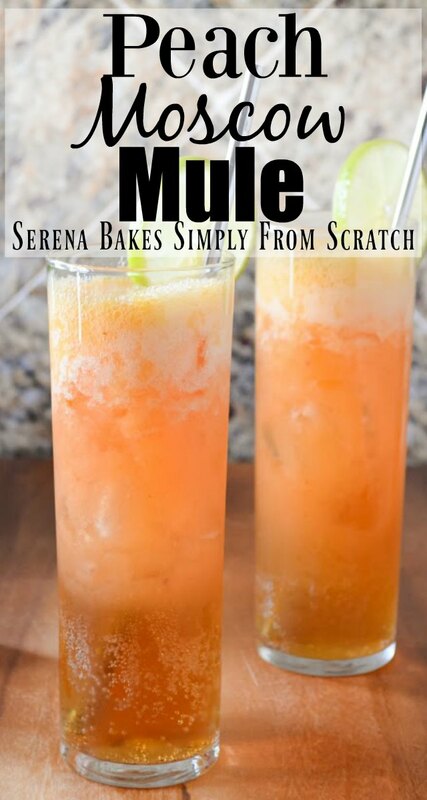 Peach Moscow Mules recipe can be made into a cocktail or mocktail from Serena Bakes Simply From Scratch. 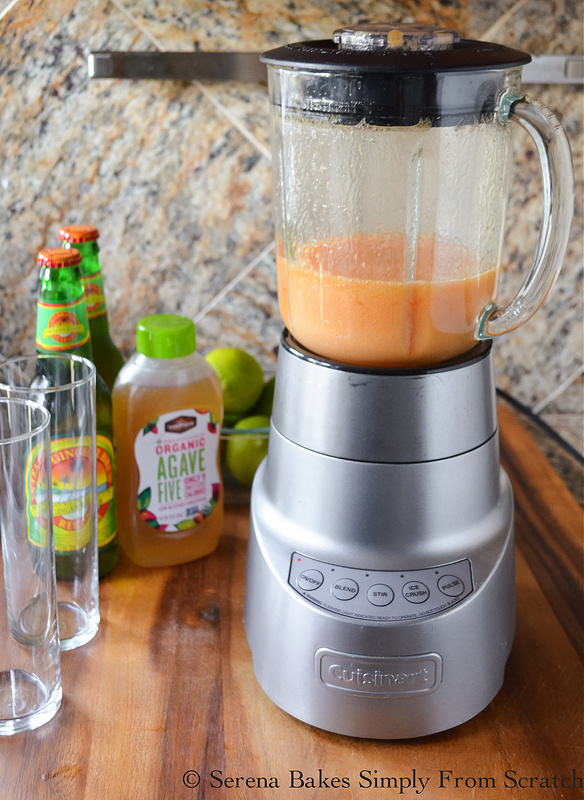 Add peach, lime juice, and Madhava Organic Sweetener to a blender and blend until smooth. Fill 2 glasses 2/3 of the way full of ice. Then fill glasses half way full of ginger beer, and finish filling with peach puree. Add shot of vodka if making a cocktail. Hey. I have never heard about this recipe. This is looking so yummy. I will definitely try this one.